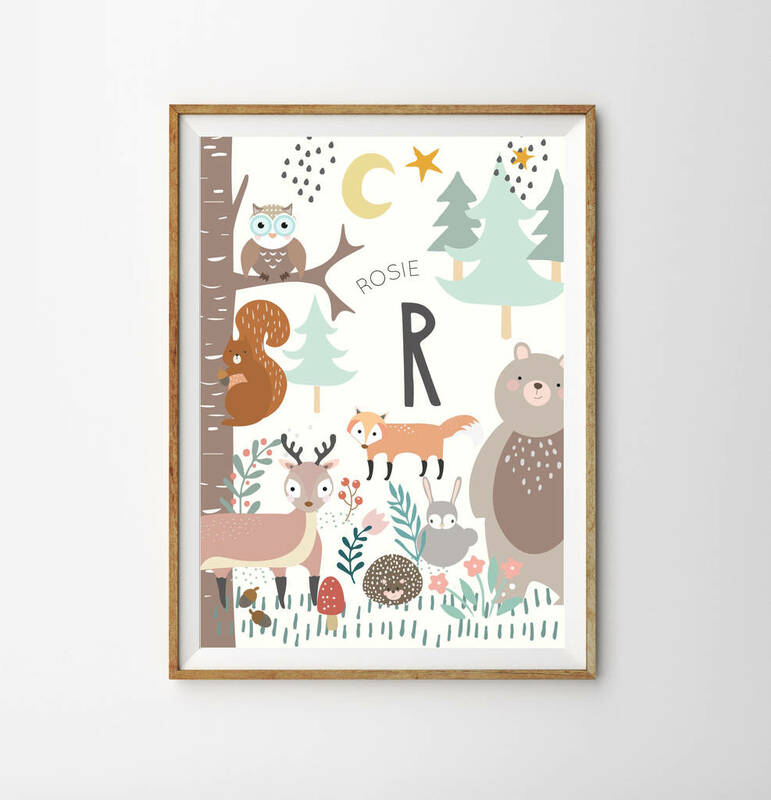 Our Woodland Personalised Children's Prints makes a super cute wall accessory! They are simply perfect to develop their creativity and imagination! I have designed the prints in such a way that you can mix and match and combine them with your own unique decor style. You can team up the Monogram print with our other animal prints to make a great set!